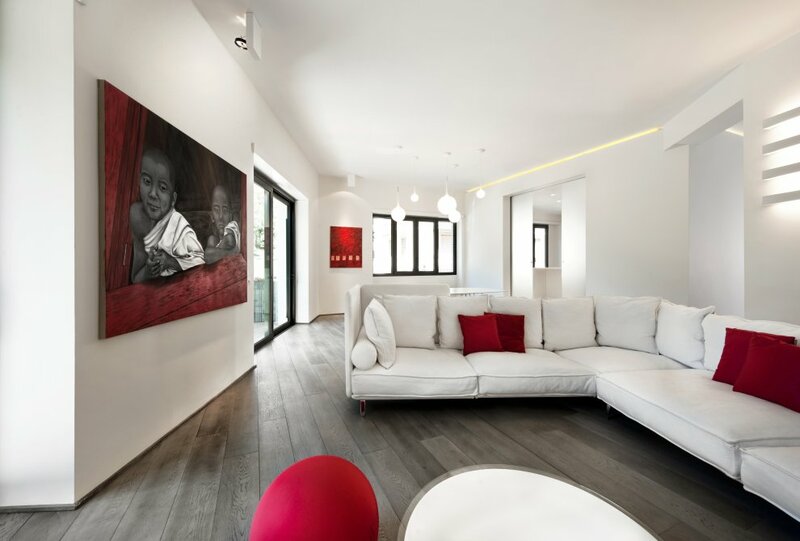 Red and white is a striking color combination for home interiors, and the Celio Apartment, in Rome, Italy, is a perfect example that shows how to pull it off in style. 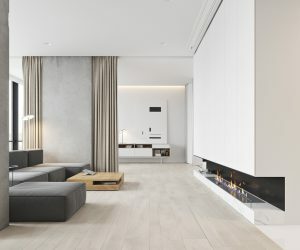 The project by Carola Vannini Architecture is a luxurious space, located near the Colesseo area, which underwent a detailed redesign to recognize the clients desire to open out the space in order to breathe in the outer landscape, resulting in expansive airy rooms pooled with light. 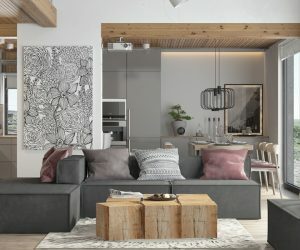 A continuous flow of living areas was created, with the large contemporary living room flowing into a modern dining area, and finally a minimalist kitchen that can be closed off with two sliding doors of white glass. 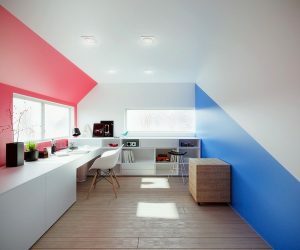 With a seamlessness enabled by one cohesive color scheme, the minimalist interior achieves a relaxed feel within its highly styled decor. 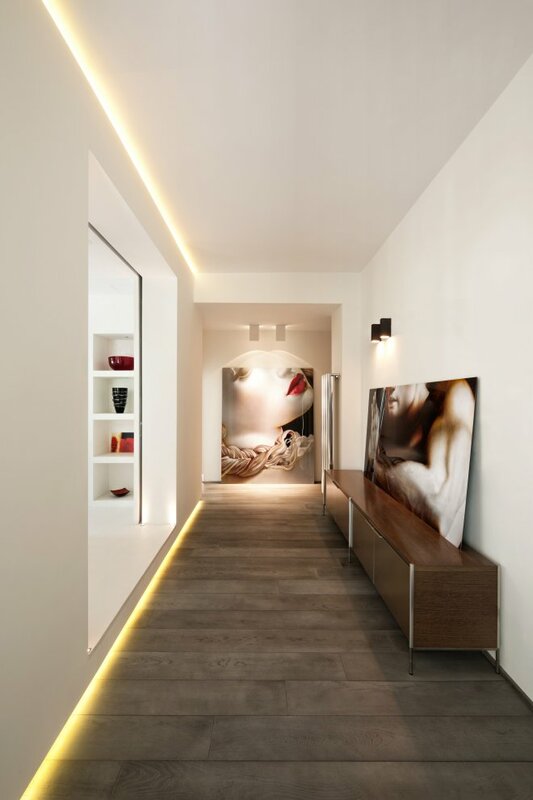 The interior layout was rethought and a number of windows were opened up to create multiple aspects through picture frame-like black surrounds. 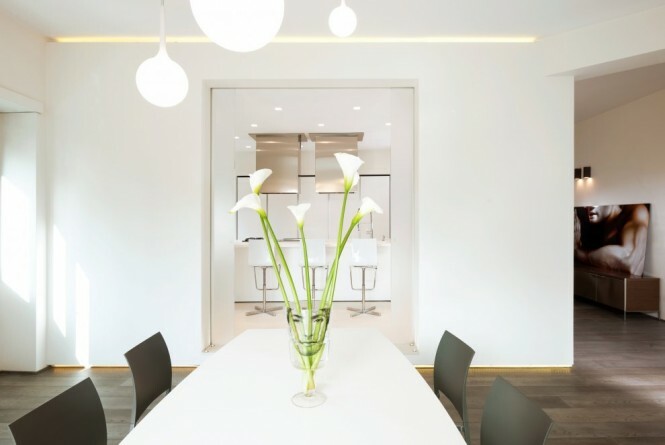 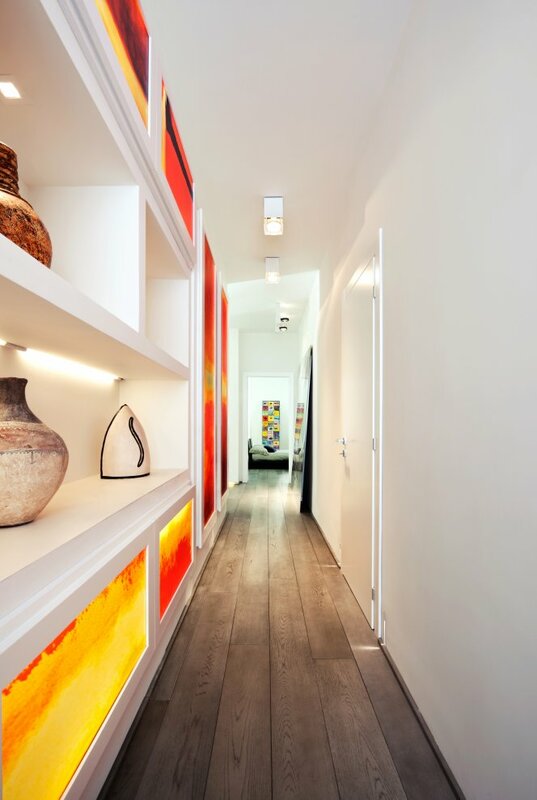 Color coordinated LED strip lighting is found throughout the home to create a divide between floor and fixtures, and ceiling hems, causing the fitted units appear to float, and to exaggerate depth and perspective. 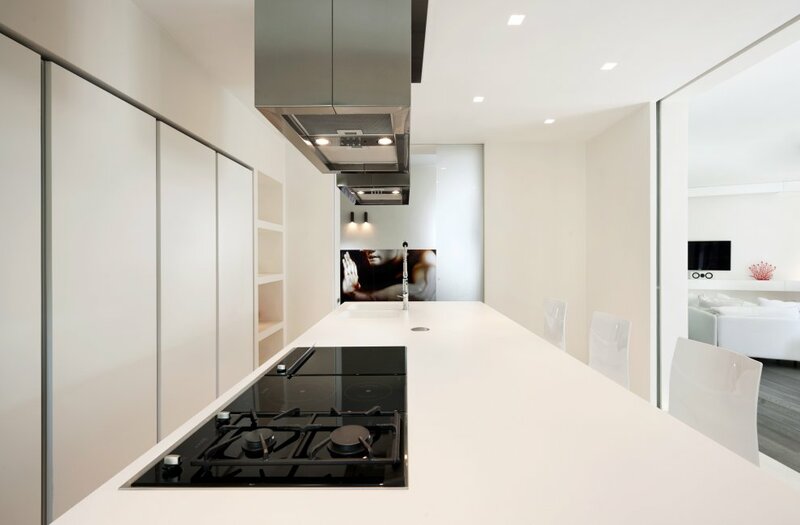 Large kitchen cabinets, and a central island with white corian worktop, make a practical space out of minimalist design. 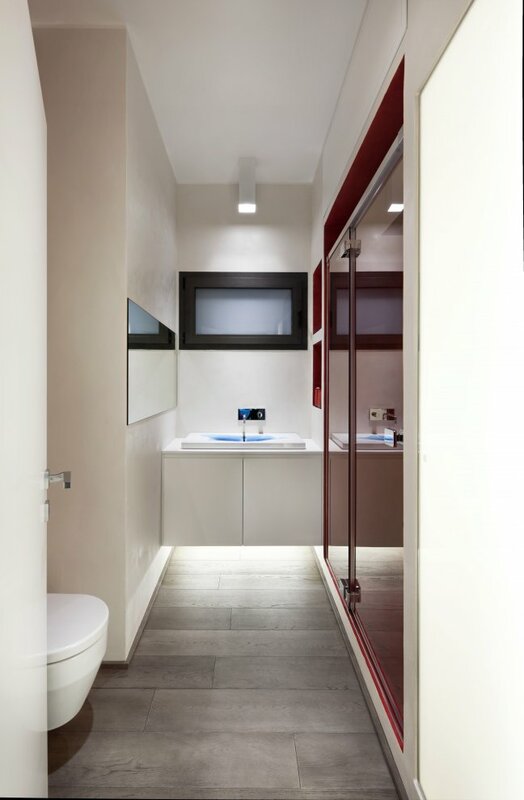 Large storage cabinets and wall mounted sanitary ware makes great use of space in the bathroom.